Typically speaking, a credit card is a convenient substitute for cash allowing consumers to purchase goods or services. Given Australia’s current credit card debt is a touch under $32 billion, it’s probably fair to say that the majority of card holders are either facing financial difficulty in repaying the debt or simply do not understand how credit cards work. ‘Putting it on the card’ seems the ideal short term solution to pay for a holiday, new car, shopping splurge or any other want that needs fulfilling. With a range of lender’s offering specials such as 0% interest on purchases or balance transfers, it appears a logical short term solution. If you have ever found yourself attracted to such offers before, ensure you understand what interest rate your credit card will revert to after the intro period has expired. Your particular credit card may charge varying rates of interest for the relevant transactions which can make it difficult to keep track of the interest being accrued. Each month, you receive a statement from your lender which discloses the amount of interest accrued during that particular period and the minimum monthly repayment amount. Many people assume that by making this minimum monthly repayment, they will avoid being charged interest the following month. Wrong. The minimum monthly repayment is generally determined as an amount between 2% – 2.5% of the outstanding balance or a fixed $ figure whichever is higher. Whilst this payment is enough to cover the interest charges, it doesn’t stop interest being accrued on the outstanding amount and more importantly, won’t help you pay off your card quicker. Credit card debt of $1,000 at an annual interest rate of 18%. If the minimum payment is set at 2% of the card’s closing balance and that’s all you pay each month, it will take you just over five years to pay it off, at a total cost of around $539 in interest. And that’s only if you don’t make any new purchases or cash advances on the card. It doesn’t include the annual fee, either. But if you committed yourself to paying $100 on your card each month, it could only cost you $74 in interest and you’d have paid it off in 11 months. It’s an all too common situation people find themselves in believing they are doing the right thing by paying whats required. In order to avoid interest charges for the following month, the closing balance listed on the statement must be paid in full by the payment date. In order to pay down your credit card debt quicker (and avoid excessive interest), you need to be paying more than just the minimum each month. In the June edition of the Office of State Revenue eNews, we can see a snapshot of the Top 20 FHOG Suburbs in WA between 1st July 2015 – 31 May 2016. Contact your Wealth Plus Lending consultant or the Office of State Revenue for further information about First Home Owner’s Grant’s & exemptions. They say that in order to start you need to begin at the beginning. I have chosen the northern suburb of Wanneroo for my first suburb profile as this was the place I spent growing up. Wanneroo is located approximately 29km north of Perth and has undertaken a significant facelift in the last 15 years. A quiet, spacious and rustic suburb, growing up in Wanneroo had a tremendous community feel to it. It has now transformed into a bustling and modern suburb which facilitates neighbouring suburbs Sinagra, Ashby, Hocking, Tapping & Mariginiup. Wanneroo Central, Wanneroo Library, the City of Wanneroo and St Anthony’s Primary School have all been upgraded since 2000 and are all located in close proximity. The sport & leisure centre located behind Wanneroo Central also undertook a makeover in recent times and its aquatic facilities are an integral community icon. In 2014, Café Elixir was announced as the WA winner of the Foxtel LifeStyle FOOD Channel’s I Love Food Awards. This is a favourite meet up place for many local (and non-local) residents and continue to receive rave online reviews for its food, coffee and service. The Wanneroo Agricultural Show is always a big community event and has been running for over 100 years highlighting the community’s rich heritage in agriculture, horticulture, livestock, hobbies, arts & crafts. An abundance of parks, gardens and lakes gives Wanneroo a very relaxed lifestyle. The Wanneroo Botanical Gardens provide amazing scenery and is a popular wedding venue. It also has been a parents haven during school holidays with mini-golf also available. Whilst growth rates have declined slightly in the past 12 months, Wanneroo has experienced a 5.2% growth over the past 10 years which is slightly above the Perth Metro Region average of 5.0%. Wanneroo is a recommended suburb for families with kids, those who like to be close to nature and looking for sizeable blocks of land. What are the benefits for First Home Buyers? Stamp Duty, grant’s and concession’s. What am I entitled to as a first home buyer? Does it really make that much of a difference? Considering how hard you save to build up a deposit, it can be comforting to know that there are a few additional bonuses you can benefit from as a first home buyer. transfers of property such as businesses, real estate and certain shares. The Stamp Duty applicable on a $430,000 home would equate to $14,440. In effect the home you are purchasing is actually $444,440 and we haven’t even started with settlement and banking costs. So why am I highlighting this dreadful expense? As a first home buyer, you wouldn’t have to pay any of it. Stamp Duty is exempt for an established dwelling of $430,000 or less. There is also concessional rates applied if you purchased between $430,001 – $530,000. For vacant land purchases, the nil rate of duty applies to land purchases under $300,000. That is a significant benefit. In addition to the stamp duty exemption, if you build or purchase a new home, you could be eligible to receive the First Home Owners Grant up to $10,000. Under the Real Estate and Business Agents Act, a home buyers assistance of up to $2,000 may also be applied for. Remember these tips when planning your first home purchase as it could save you thousands of dollars which lets face it, is better spent on anything other than fees & taxes. The information provided in this article is accurate as of 4th March 2016. So you’ve decided you want to get onto that much talked about ‘property ladder’ and you’ve already been busy trawling the internet for the perfect home. Looking for a new home can be an exciting and challenging experience. After all, buying a home is one of the largest investments you may ever make. It’s good to keep a level head and be realistic about what you can afford. Most of us, when buying a home, will need to borrow money to finance the purchase. So before you go any further, you need to find out how much you can borrow. Monthly expenses and other outgoings such as loans, credit cards and store cards. It’s valid for up to 3 months. It shows your estate agent that you are serious about buying a home. Some agents won’t spend their time showing you homes in-case you don’t come through with the financing. That all information supplied to the lender for assessing eligibility is true and correct. That the lender has received all documentation necessary to verify deposit, security, assets, liabilities and income. Verification of the personal and financial details. Once you’ve found your dream home, you will then need formal approval. Full approval of your loan can take as little as an hour or it may take a few days if valuations are required. But before you apply for a pre-approved loan, make sure you are fully aware of the reason why loans are rejected. This way you can ensure you meet the criteria before applying – the last thing you want is lots of different loan applications appearing on your credit report! You have too many enquires on your credit file. All your loan applications will appear on your credit report. If there are too many this may you’re your lender nervous as they may think you are not telling the full story. The policy of the lender has changed. Some lenders will honour pre-approvals that are lodged before their policy changes. So remember when deciding to take that leap of faith – along with 9 million other Australians who have already jumped on the property ladder, just remember to be prepared! “Let’s say that you are paying five per cent interest on your home loan and earning two per cent interest on your offset account,” explains Heritage Bank NSW State Manager Paul Moses. With 100 per cent offset accounts, you earn interest equal to the interest you are paying on your loan. Rather than earning savings account rates, you are earning home loan account interest rates on the money held within the offset account. Offset accounts, like many savings accounts, often come with account fees, but the fee may be worth the interest savings and the added flexibility compared to redraw facilities. “There are less restrictions attached to 100 per cent offset accounts, they’re very flexible. But really, it does just depends on each lender,” Moses says. Finding a loan that matches your needs is a lot easier with an expert on your side. 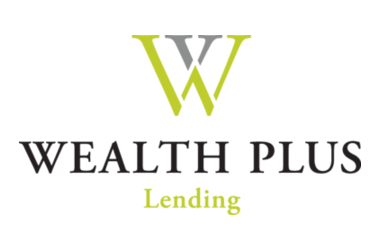 Email jonni.chin@wealthplus.com.au to find a loan that matches your current needs and future plans.